The well-known military “thirty-four” will arrive on Old Car Land2018. This is the most massive Soviet tank during the Second World War. Prior to his production, a lightweight, BT-tracked caterpillar tank, as well as models A-20, A-32 and A-34. Among the most important advantages of the tank are high specific power of the engine, rational angles of armor, powerful armament, a large reserve of run – 300-400 km, low specific pressure on the soil. Also, the tank had a simple design that facilitated the mass production of T-34, their maintenance and repair in the field. In T-34 installed a high-tech diesel fuel type A-2. The use of a diesel engine provides less fire hazard compared with gasoline. Since the spring of 1943, the T-34 began to install an upgraded check point, which greatly facilitated the work of a driver mechanic. 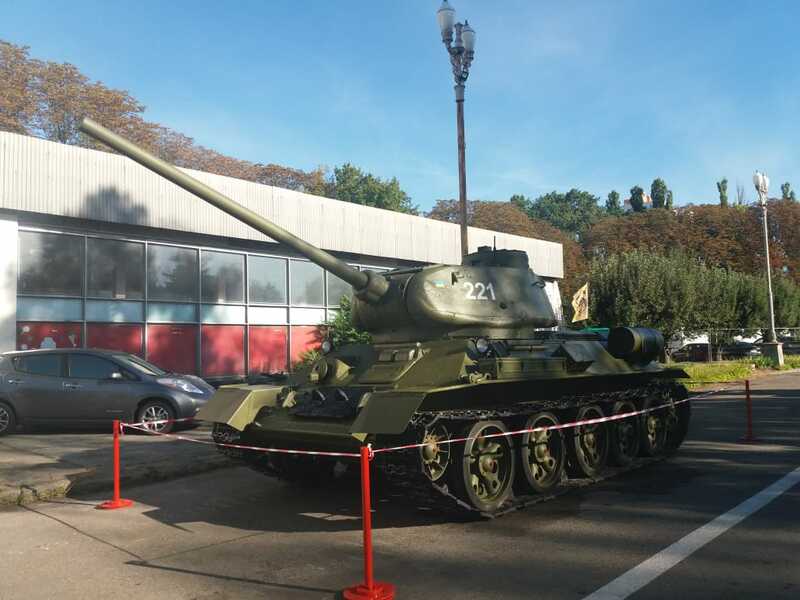 In the same year, all the tanks began to install modern radio stations 9P and negotiating devices TPU-3bis. There were no distinct modifications of the linear T-34. However, in the design of serial machines there were significant differences due to different production conditions at each of the plants. In connection with the emergence of new models of armored vehicles in the Germans, the Soviet leadership has started mass production since 1944, T-34-85. It is precisely the tanks of this version that have reached Berlin, and it is precisely that which is installed in the form of a memorial on many pedestals in cities and villages. BTR-152 began to be manufactured on the basis of ZIS-151 since 1947. Already in 1950 new military vehicles were taken by the Soviet Army. In the same year, car designers were awarded the State Prize. The car had a sturdy armored body that held the balls 12.7 mm in diameter. To protect the landing from bad weather was a removable canvas tent. The two doors were in the front of the car and one in the building part of the building. The staffing of the armored personnel carrier included the Goryunov GG-47 machine gun. External communication was provided by the radio station 10-RT-12. 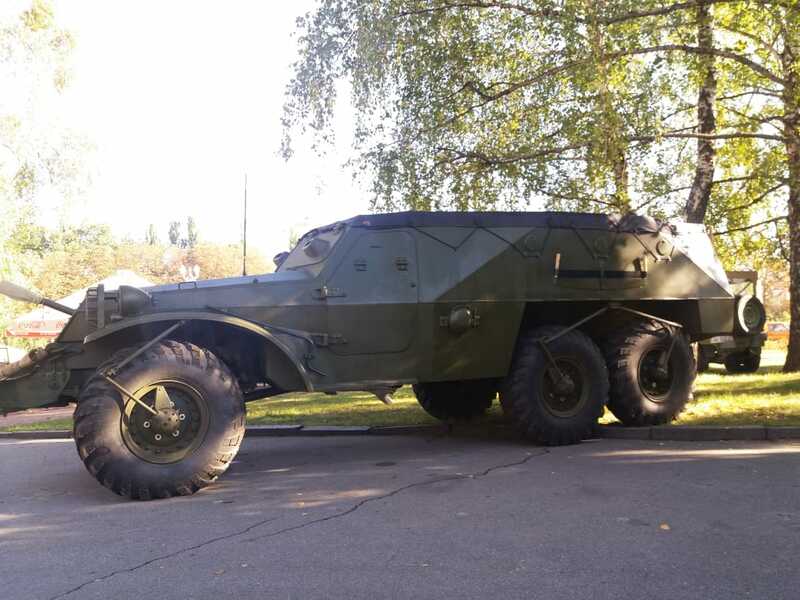 The armored personnel carrier was equipped with an engine of 110 horsepower. He developed a speed of 80-85 km / h. The APC also had various modifications: assault and commander variants and a armored roof model. Mass production of BTR was conducted from 1947 to 1962. 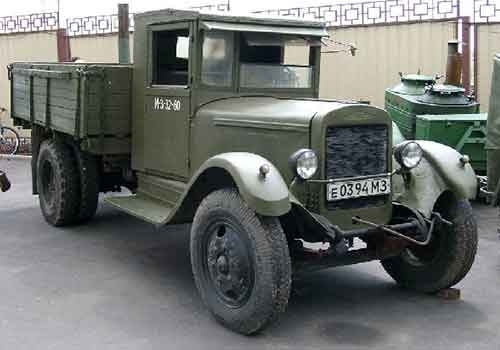 GAZ-AA will arrive on Old Car Land – the most massive model of the early 1930’s in the USSR, known as a “half-taker”. The car was released in 1932-1946. First, the model was a copy of the Ford-AA truck. However, the Soviet engineers changed the drawings, revised the design and platform and already the first serial GAZ-AA came down from the conveyor of the Nizhny Novgorod automobile plant on January 29, 1932. Already by the end of the year the plant produced 60 trucks of GAZ-AA per day. GAZ-AA had a 4-cylinder engine with a capacity of 40 hp The car could develop speeds up to 70 km / h. By 1934, the car was equipped with a cabin of wood and pressed cardboard, later they replaced the metal. 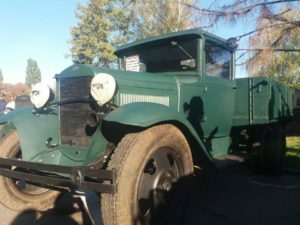 During the Second World War, due to lack of materials, the truck was equipped with only one left lamp, only rear brakes and rear folding side. Feature of the model was the device of the rear suspension, where as a longitudinal draft was used a pushing pipe. The carrying capacity of the car was 1.5 tons. Major modifications: GAZ-AAA six-wheel truck, GAZ-410 tipper, GAZ-0330 bus, gas generator GAZ-42, etc. During all production time 985,000 GAZ-AA cars were manufactured in various modifications. In the Soviet Union, most of the “half a dozen” were gradually transferred to various enterprises. Subsequently, repairs were increasingly difficult, and enterprises often ousted old equipment. That is why GAZ-AA in a good condition is a real rarity. The GAZ-67 military off-road vehicle was widely used during the Second World War. Soldiers kindly called the car “gas” or “goat”. This vehicle was upgraded to GAZ-64. He was often used as a staff and intelligence car, infantry carrier and wounded, as well as a lightweight artillery tractor. During the 10 years of production (1943-1953), about 93,000 GAS-67 came from the conveyor belt. The military vehicle had an open body. The cabin easily accommodated four people. In bad weather, the body and door openings were covered with a special awning. The lobed glass was attached to the frame, which was thrown forward or fixed in a horizontal position. The car had a 54-horsepower engine and developed a speed of up to 90 km / h.
The most popular in the lineup was “bobik” – a modification of GAZ-67B. The main task of engineers was to increase the shelf life of major technical units. The developers have installed new bearings and reinforced bearing bearings on the front wheels. In 1948, the usual play of the radiator replaced stamped with seven vertical slots. The cargo vehicle ZIS-5 will also arrive at OldCarLand. It was produced in the USSR from 1933 to 1958. ZIS-5 transported 3 tons of cargo and towed a trailer with a total weight of 3.5 tons. In its cargo platform (it was possible to carry 25 people. The six-cylinder engine was enduring, its volume was 5.67 liters, and the capacity increased to 73 horsepower.The driver’s cabin was not heated and had a primitive ventilation, but was spacious.ZIS-5 could not boasting comfort for the driver, but it became the first domestic car with a built-in compressor for pumping tires.The truck was easy to complete, it consisted of 4,5 thousand parts and to disassemble or assemble it was possible using the minimum amount of tool entiv. The Soviet “three-tone” was exported to Turkey, Iran, the Baltic republics and Mongolia. The export variant was outwardly different in the presence of nickel-plated front bumper. Total before the war managed to make more than 325 thousand pieces, about a third of them went to the army. Earlier AutoPlay reported on Retrofest 2018, which took place in June. 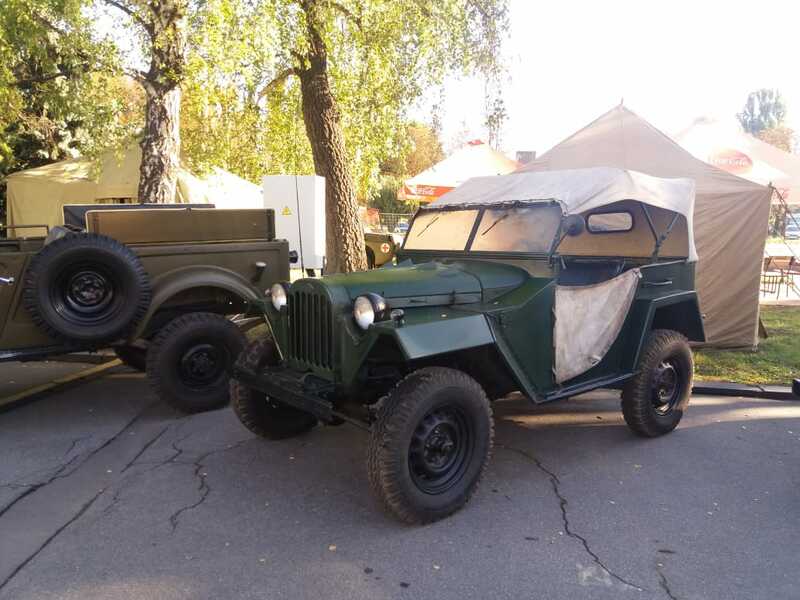 At the festival there were rare Soviet “Volga” and old cars of foreign production. (Українська) Майже забутий Sorry, this entry is only available in Ukrainian and Russian.